The work of the experimental British company Forced Entertainment distinguishes itself among much contemporary performance by its unique relationship to the elemental conditions of theater. Forced Entertainment’s work proceeds from and responds to the expectations and limitations of theatrical circumstance, emphasizing to extremity (and beyond to Brechtian estrangement) the particularities of theater’s most ordinary aspects—narrative, costume, duration, suspension of disbelief, the performer-audience relationship. Their performances tend to either messily exceed the limits of coherent representation or to deliberately underdetermine their own theatricality, always strategically missing the mark. During a rare US residency at the Museum of Contemporary Art these past few weeks, Chicago audiences have experienced an intermissionless 140-minute epic about childhood during wartime read from identical notebooks by two men without acting anything out, and a six-hour-long non-narrative performance in which the company collectively tried to confess to everything. 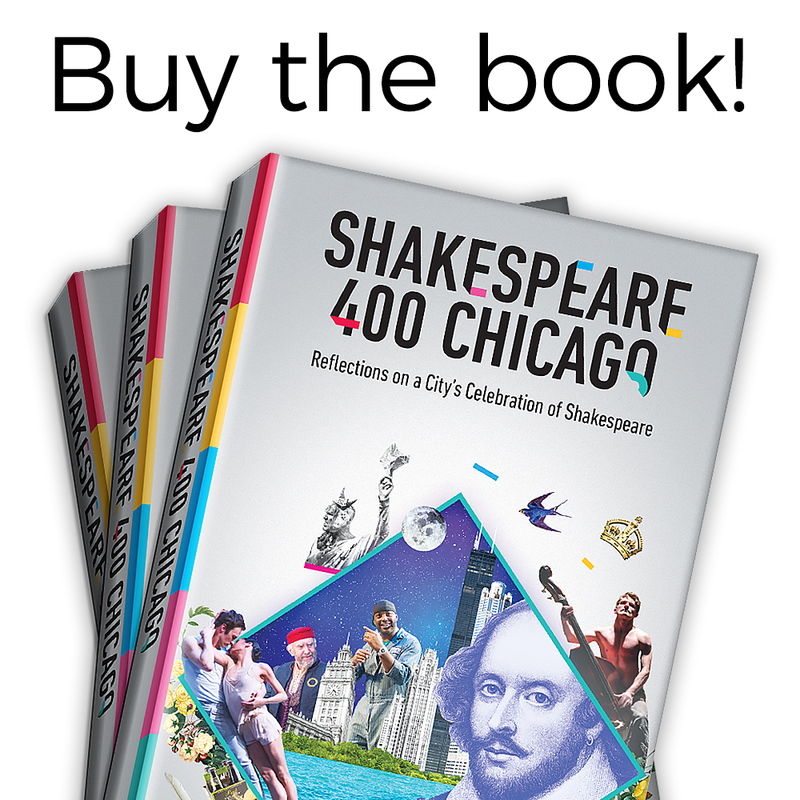 The third Forced Entertainment project presented in Chicago, (In) Complete Works: Table Top Shakespeare, brought twelve of the one-hour versions of Shakespeare’s plays created for Complete Works: Table Top Shakespeare, which premiered last year in the UK with every play in the canon. Presented here four per night, these performances featured a single member of Forced Entertainment seated at a large wooden table, relating the plot of one of Shakespeare’s plays to the audience, using ordinary household objects and products as illustrative props, and summarizing the action rather than quoting the plays directly. The night I attended included The Merchant of Venice, As You Like It, Macbeth and The Winter’s Tale in a marathon relay between company members Claire Marshall, Robin Arthur, Richard Lowdon and Cathy Naden (remaining company members Terry O’Connor and Artistic Director Tim Etchells were not in Chicago.) Each of these plays deals in part with characters in disguise or substituting for one another, in much the same way that the narrators substituted ordinary objects for Shakespeare’s characters, and plot summaries for the texts of the plays. Organizing everyday objects on the tabletop and synopsizing the stories, the performers engaged the audience with their capacity to approximate the content of the plays using a limited set of tools, which at a different scale could describe the constraints under which all theater operates. After all, Shakespeare also uses summary and approximation where the limits of theatrical representation assert themselves. As You Like It has Oliver reporting on his unseen rescue from a lion by Orlando, which Robin Arthur related in much the same way that Oliver presents this pivotal instance of storytelling. And the offstage mauling of Antigonus in The Winter’s Tale is merely implied by the famous stage direction “Exit pursued by a bear,” here satisfyingly cast by Cathy Naden as a half-full bag of trail mix. Forced Entertainment is able to make use of Shakespeare in this performance about the provisional nature of theater because in the theater Shakespeare is always close at hand, almost to the point of ubiquity. Like the common objects and products sitting in our kitchen cupboards, our bathroom cabinets, our garages and workshops, we may go years without thinking about one of Shakespeare’s plays only to find, on encountering one, that it has been there all along, and that it functions much as we remember. Engaging Shakespeare is like riding a bike, or like fixing a bike with an old set of tools you forgot you had and then riding. Some assembly is required, but in the end it still works just fine. Given what most audiences for this performance will know, when Robin Arthur, presenting As You Like It, says of the bottle he cast as Jaques, “Then he makes a long speech where he compares the world to a theater,” it might be argued that it does much the same work as hearing “All the world’s a stage…” recited; similarly Richard Lowdon telling us that the old aerosol can playing Macbeth “feels nothing and everything feels pointless” upon hearing of Lady Macbeth’s suicide supplies the “Tomorrow and tomorrow and tomorrow…” speech without it being quoted. An orientation toward approximation and provisionality in dramatic storytelling informs this encounter between the priorities of postdramatic performance and the assumptions of traditional theatre, as it has similarly amongst Forced Entertainment’s contemporaries. The Nature Theater of Oklahoma’s 2010 Romeo and Juliet, for instance, was comprised not of the text of the play, but of transcribed summaries of what of interviewees remembered of the plot. Theatre has become more and more a context to think about theatricality and the dynamics of representation, under which conditions the table has often proved a space simultaneously within and outside of the literal theater where the divides between performance and criticism, actor and audience, the fictional and the actual can be examined and bridged. The non-illusory direct address of John Cage’s lectures or Spalding Gray’s autobiographical monologues presented at tables much like Forced Entertainment’s suggests a theater that is both dramatically coherent and anti-spectacular. But the table is, at the same time, a model for the theatrical dynamic itself, a literal platform behind which sits a controlling intelligence attempting to bring a story to life on that surface. Table Top Shakespeare might promise transcendent puppetry, like that of the New York street performer Stuart Sherman who staged his miniature spectacles with ordinary objects on portable tables, but it delivers instead something purposely a bit more static and self-reflexive. By diagramming but never fully realizing the potential relationship between narrator, story and object, Table Top Shakespeare tasks the audience with the act of assembly. Forced Entertainment is insisting on the contingent, provisional, collectively navigated nature of the performance event, and certainly this is not everybody’s cup of tea. Indeed, audience attrition appeared to be an anticipated side effect if not a goal of the work. After the single brief intermission in the four-hour program MCA Director of Performance Programs Peter Taub congratulated those of us who had stayed, inviting us to move closer, as if we had passed the test and the evening could finally proceed as intended. One pleasure of durational performance like this is the satisfaction of having endured, together with others, and making it to the end (although that could also be said to be a pleasure of seeing any production of Shakespeare.) Among those I shared the theater with, I certainly encountered some who felt that something was missing, some opportunity had been lost, whether the possibilities of representational spectacle or the texture of Shakespeare’s language itself. They imagined the clever, acrobatic uses that could have been made of the objects, and lamented the absence of Shakespeare’s poetry. But that disappointment, too, might be productive, offering the audience a stage on which to perform versions of the plays they might hope for or imag­ine or remember. Like much of Forced Entertainment’s work, the whole evening felt like both too much and too little—from one angle we had both seen four Shakespeare plays over the course of as many hours, from another we had seen none at all. Table Top Shakespeare substituted for something much vaster and more fantastical than any of us saw on stage that night, yet it also insisted that the theater that we had, the theater we were making do with and enduring, was, or should be, good enough.